During his twenty-six-year career, D.C. radio talk show host Rick Jennings steered clear of outrageous radio. Wasn’t his thing. So when WTLK execs tap him for the Afternoon Circus to land a lucrative satellite deal, Rick struggles to maintain his standards—and his dignity. A chilling call (“I’m a long-time listener, first time KILLER.”) leads to the discovery of an intern’s arm in a trashcan. Rick spars with the “First Time” killer over the airwaves. The police are stymied. Ratings skyrocket. And First Time continues to knock off members of the Circus, phoning in to gloat afterward. Wow! I wasn’t quite sure just what I was getting into when I started reading FIRST TIME KILLER. What I got was a wild ride. FIRST TIME KILLER is written in first person and a very well done first person at that. That is a style that is often attempted but very rarely mastered. I want to give kudos to Mr. Allen for mastering the style. Rick Jennings is under pressure from Celia to bring up the ratings so that the Afternoon Circus can be syndicated through satellite when he receives a caller that identifies himself as a first time killer. The ratings soar but Rick really questions whether or not he is letting his dignity and standards fall by the wayside. We are also introduced to several secondary characters who contribute to the story such as Rick’s family, and longtime friend Winn. There are also several fans as well as the rest of the crew at the Afternoon Circus. Mr. Allen has a very deft touch with characters as we do really get to know them all through Rick’s eyes. This is a very tense story with a lot of twists and turns. And I can tell you that I was definitely off base in my thought about just who the killer really is. I was shocked and very impressed by the satisfying conclusion. 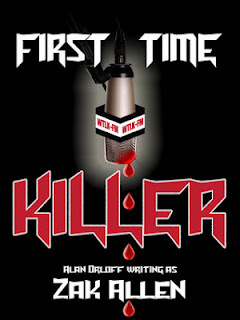 If you are looking for a very tight and tension filled thriller, I highly recommend FIRST TIME KILLER. I rate FIRST TIME KILLER a 4.8. 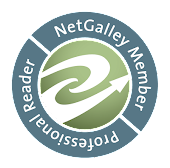 ***I received this book at no charge from the author in return for giving a fair and honest review.